I wanted to break away today from the Nordstrom Anniversary Sale posts and the final Key West travel recap posts (yes, I promise there's a travel guide coming soon! ), and share a brand new "learn" post. It has been a hot minute since I've shared a post like this, and with The Blog Societies Conference just a few days away, I thought what better of a time! Next Wednesday I'll be traveling down to Charleston for my second The Blog Societies Conference. You can checkout last year's recaps here and here. 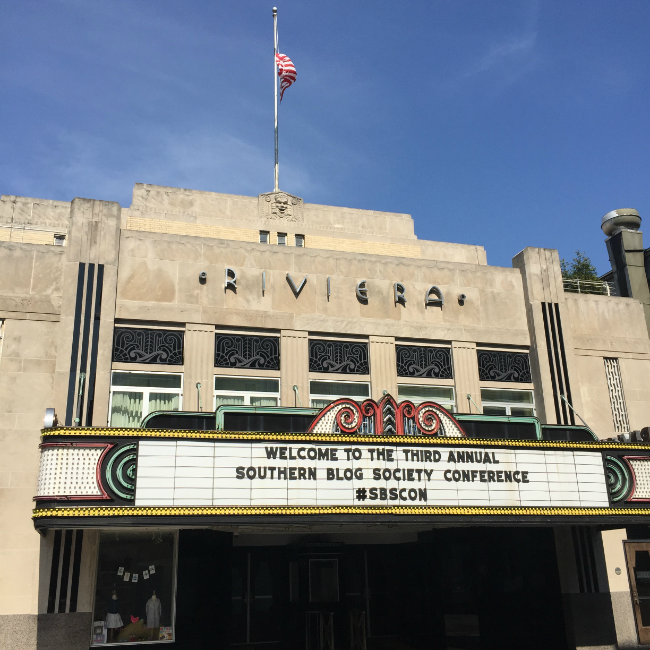 **Note: the conference used to be called the Southern Blog Society Conference. Since last year, all of the regions have now combined to what is known as The Blog Societies. A society made up of bloggers from all across the country. Last year's conference was my first blogging weekend and workshop I had ever attended. I had done a few blogging events that offered panelists here in DC, but this was my first weekend conference. Even though I was attending with several of my best friends, I still was nervous and had no idea what to expect. I had talked to a few girls who had attended the conference before, and they offered some wonderful advice and insight into how the weekend would go. I am sure there are many of you who will be attending a blog conference soon for your first time. Whether that be something local, or you're traveling down for this year's Blog Societies Conference. So I wanted to put together a post with some helpful tips I learned both prior to the event + throughout the weekend. Hopefully these will help you enjoy and make the most of your experience. But first, many of y'all have asked what the benefit is for attending a blog conference? I feel that attending last year's conference was 100% worth it. I will say though, a conference or workshop is exactly what you make of it. If you're open to learning and meeting new people, you'll do just fine. 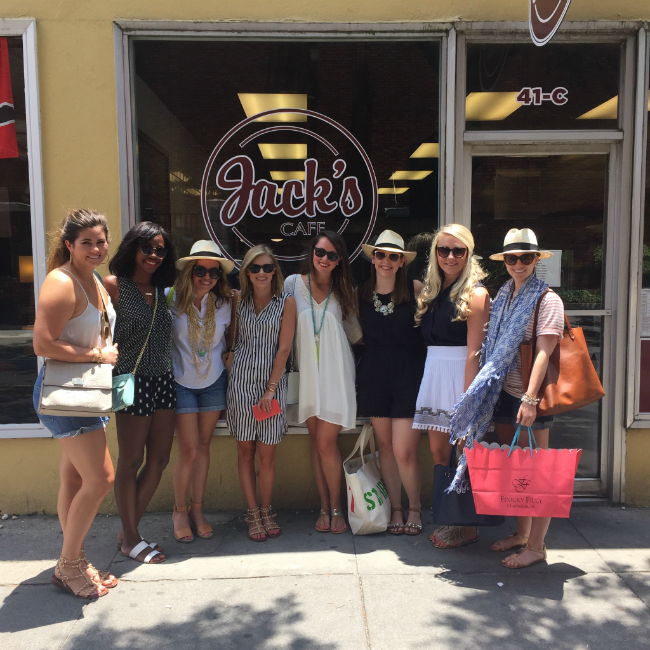 I met a ton of new bloggers, who I now call my friends. While we may not see each other but a few times a year, we are always connecting on social media or via text. I also connected with a lot of wonderful brands last year, and ended up partnering with them long after the conference was over. Either through posts with fellow bloggers, sponsored content or product reviews. I still work with some of them a year later. By attending a conference or workshop, you're opening your brand and YOUR business to a whole new world of publicizing and networking. New brands to work with, new bloggers to bounce ideas off of, etc. When it comes to choosing a conference to attend though, I highly recommend reading blogger reviews. Some conferences offer more than others. And some are more beneficial than others. Do your research before purchasing that $300 conference ticket. With that being said, hopefully these tips will help you make the most of your conference or workshop. Both before and during the conference, as well as when you return home. Stock up on business cards // this is probably the most important prep you can do. There will be so many new bloggers, businesses and brands there for you to connect with. While yes, it can be easier to find other bloggers via social media and start following them that way, brands want something tangible to remember you by. On that note, if you have a media kit definitely bring it. In my experience, I don't think they're necessary. But it can't hurt to leave one with your business card as well. Prepare, but don't over prepare your outfits // one of the biggest things I stressed about prior to the conference was "what am I going to wear?!" I over prepared actually. I spent so much money on new clothes, new pieces, and items that I only wore to the conference. In the long run, it just wasn't very financially savvy. So this year, I set a budget and created three new outfits. I got all of the items for under $150, and I will be mixing some of these new pieces with things I already own. I also made sure to buy items that were versatile. Pieces I could still wear back here in DC. Prepare your affiliate links // if you work with ShopStyle or rewardStyle, go ahead and link your daily outfits into one folder. That way you can easily add shop links to your Instagram photos and aren't spending precious time scrolling through LIKEtoKNOW.it. Leave room for goodies // if you're traveling to a conference that lasts several days, make sure you bring an extra bag or carry-on. You will accumulate a lot of new goodies. Whether that be gifts from brands, or items you purchase while shopping. Purchase a portable charger // this by far has been the greatest tech purchase I've ever made. It holds four FULL chargers + has two phone USB jacks. So you can charge two phones at the same time. This charger is less than $30 and available on Amazon Prime! It's vital to staying connected and sharing your conference fun all day. Bring comfortable shoes // nothing hurts worse than walking around the cobblestone streets of Charleston or pavement of a large city in heels. Be sure to slip a pair of flats in your purse. Trust me. Let your followers know what you're doing // be sure to explain to your followers and readers where you're going, and what you're doing. This is a vital time to cross promote your blog with your social media. Make sure everyone is following along on Snapchat (kroyster815), Instagram, Twitter, etc. You also want to make sure they aren't left in the dark. Nobody has time for an hour long snapchat story, yet has no idea where you're at or what you're doing. Engage and keep your followers in the loop. Get into town early, if you can // honestly, this was something we learned from last year. We felt so rushed getting into town the day of, grabbing our bags, checking into the hotel and rushing to change before the welcome party. So this year we're going a full day and a half early. We're going to tour around the city a bit, take our time to get settled in, and take all of our outfit photos prior to the conference beginning. That way we can already have most of our Instagrams ready for the rest of our trip. No more rushing to get a shot in between meetings or events. Go with an open mind, and ready to learn // while you may know in advance some of the topics being discussed, be open to hearing ideas and advice from all the speakers. While you may not necessarily need photography tips, you never know when you can learn something new. Don't over schedule yourself // you're going to be meeting so many new people. So be sure to leave some holes in your schedule for last minute meal invites, happy hours or coffee breaks. This allows you the chance to make new friends and new connections. Be yourself // going back to "what to wear," just be yourself. You don't have to wear the shiniest outfit to the party, or spend thousands of dollars on the trendiest items. Honestly, I can't remember half of what I wore or what anyone else did. But I can definitely remember their personalities and the fun we had! So just relax, and be yourself. Everyone will love you! Don't oversell yourself // when meeting a brand or fellow blogger, no one wants to hear your pageviews or how many brands you've worked with. Unless asked. Most of the time, brand reps and other bloggers just want to get to know you. Stick to lighthearted topics, and let them get to know you as a person. I guarantee that your bubbly personality will make a far better first impression vs. throwing countless facts at them. Send thank you notes and emails // I am very pro-handwritten thank you. Just like you'll be passing out your cards at the conference, so will brand reps. Most of which will have a mailing address. Take the time to purchase nice thank you notes, and send a handwritten one to each of the reps you talked with. Trust me. A handwritten note goes a long way to building a relationship with brands you hope to work with. Stay in touch // both with bloggers and brands. 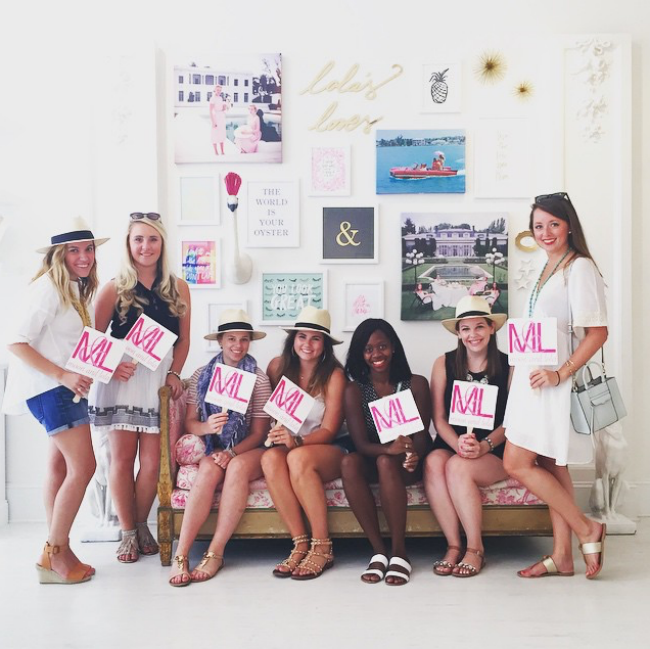 Send follow-up emails, collaboration pitches, and comment on bloggers/brands Instagram photos. I met so many new faces last year, and have grown close to many of them simply by staying in touch. Implement what you've learned // a conference will give you newfound motivation! Take the tips and tricks you learned, and figure out how to implement them. Use the advice that best falls in line with your brand, and run with it. Don't let all that you learned go to waste! Have fun!! Yes this weekend may be work for you if you're a full time blogger, but you also need to enjoy it! Don't stress or overwhelm yourself. Allow the time to enjoy being in the moment, making new friends and soak in all the advice you can to take back home with you. In the end, it's just a weekend and a few days. So make the most of it by being yourself and enjoying all that's going on! This is really great advice! I've never been to a blog conference, but I'm sure hoping to attend this one next year! Have so much fun!! Such awesome tips :) Can't wait to see you down there next week! Love all the advice! I'll be heading to the Blog Society conference next week. Hope to meet you there! i am not remotely going to a conference, but i love seeing everyone's post about them. these are such great tips, i feel if i were ever to go, this is a great advice post. YAY!!! Thanks Alicia! Look forward to meeting you next week. Safe travels!! So glad to hear!! Hopefully these tips can be applied to any conference, and even the smallest workshop. Thanks so much for reading! Cannot wait! See you in less than a week. Thanks for all the great tips! Yeah the rS conference would be amazing!! But I know I'm far from attending. Hopefully one day, ha! This is such great advise! I hope to be attending my first blog conference sometime this year :) Will be pinning this. Such great advice!! I'm looking forward to hopefully attending my first Blog Conference in the near future. Is the event something you get invited to or do you have to apply to go? Thanks again!! So glad you enjoyed the post Brittany! The Blog Societies is a members only society that any blogger can apply to join. I linked to the site in this post :) the conference is for members only, and is based on first come first serve when purchasing tickets. Hope that helps answer your question!